If you’re a blogger, buying a decent new camera is a huge but necessary step to take. The impression that your content makes on your audience is directly proportional to the quality of images accompanying the posts. 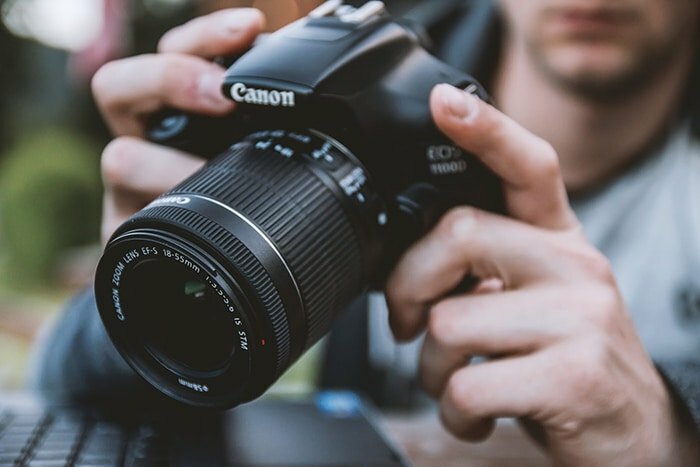 Simply put, better photos make a better impression on your readers and increases how much trust they put in your content. In case you’ve been vlogging for a while already, you know how hard it is to pick a new camera from all the existing models in the market today. So if it is time for you to step up the quality of your pictures and get the best vlogging camera you should read the recommendations below. You’ll find the list of top 5 vlogging cameras, which definitely deserve the attention of any professional YouTuber in 2018. Hopefully, it will help you to decide on which vlogging camera might be the best one for you this year. So keep reading. There are a lot of factors, which can influence your decision to get a particular camera and accompanying equipment. Mainly, it depends on your vlogging activity and the budget you have. So we’ve tried to create a list of products which will definitely fit different budgets. In the list below you’ll find both cheaper and more expensive types of equipment which are almost equally competent. 1. Sony RX100 – It is the best choice for those who don’t want to spend a lot, but want to present professional-looking travel vlogs. It is a small and compact camera with fantastic quality for such a convenient format. You can also consider the fourth version of this model – Sony RX100 Mark 4, which is equally good. The main advantage of this particular camera is its flip-up screen that lends a certain amount of convenience to vloggers. 2. Canon G7X – It is one of those really not expensive, but really qualitative equipment pieces for bloggers. In fact, it is one of the most popular cameras on YouTube because of its compact size and high quality. 3. Canon M series – If you need something more powerful, direct your attention towards the Canon M5 or M6. Both of them have interchangeable lenses and really cool features like a larger sensor as compared to a lot of rivals in their price range. 4. Canon 70D – It is a pretty versatile camera which goes well with any vlogging set up covering a microphone and tripod. It has tons of different features that will make any vlogging activity a lot easier. It boasts of incredibly fast autofocus which is very important when you film on the go. 5. 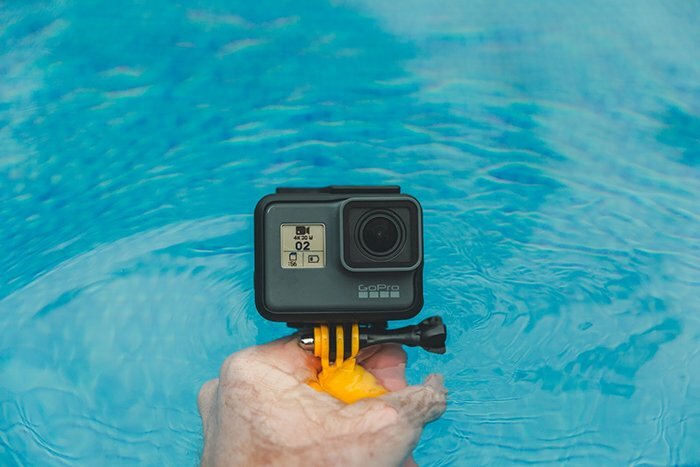 GoPro Hero 6 – If you’re mostly into filming while traveling, get a GoPro Hero 6 model. And in case you’re a traveling vlogger who finds it inconvenient to carry around excess gear all the time, definitely look for this model. It is a lightweight piece of equipment that makes a really nice picture. Those who have never had a GoPro might take a short amount of time to get used to it, but it’s smooth-sailing after that. In general, the choice of the camera mainly depends on how cinematically beautiful you want to make your videos and how big or small your budget is. So before you decide on any model, precisely define what you’re looking for and go for a camera that will meet those requirements optimally.